Beautiful Rosewood UPVC Conservatory renovation. 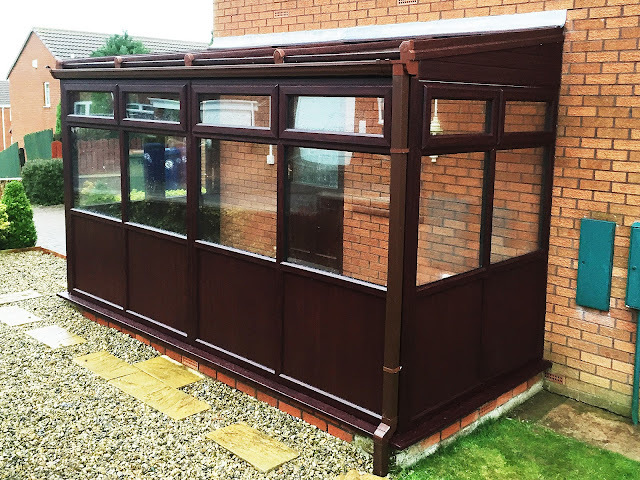 Transforming a traditional timber conservatory, with fantastic high quality Rehau, UPVC, profile, and top opening windows, all with matching guttering and roofline in rosewood. 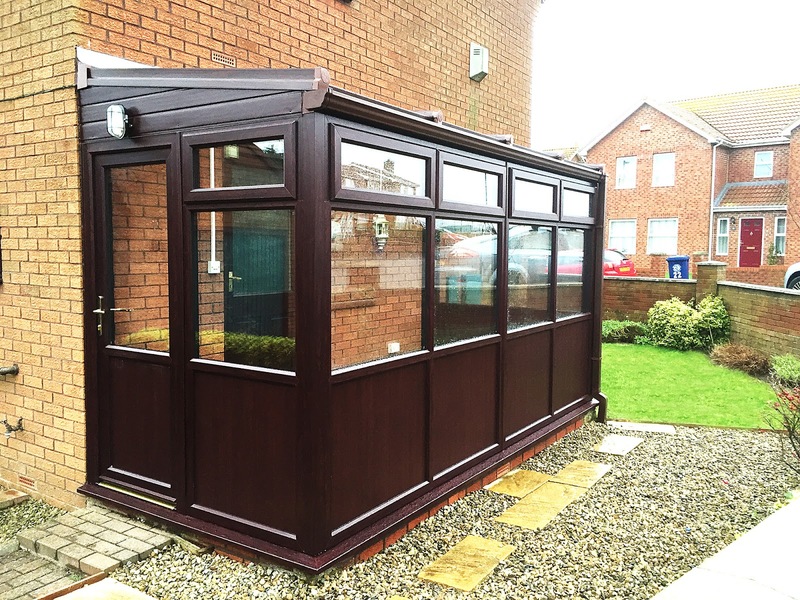 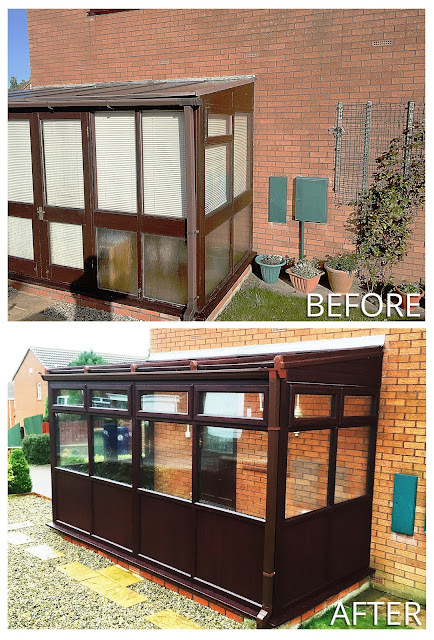 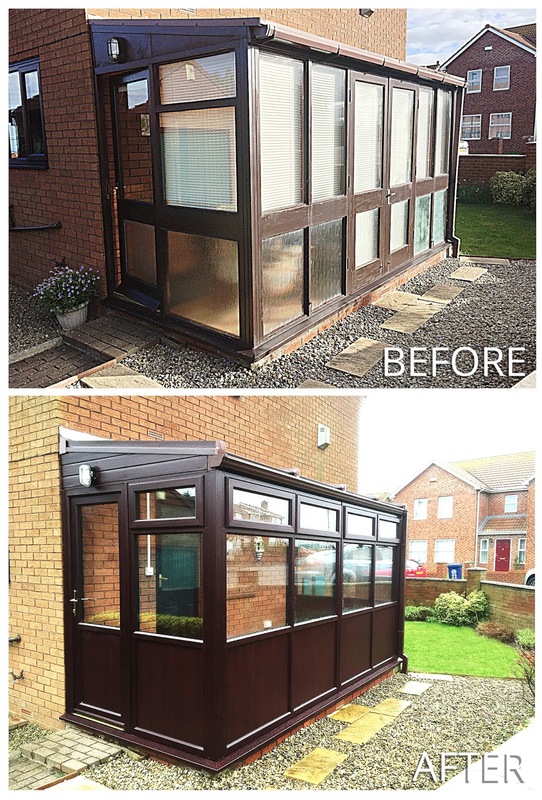 Stunning before and after of this fantastic rosewood conservatory.